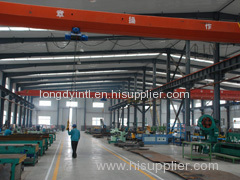 Yaitai Longdy Global Trading Co., Ltd. is an OEM engineering parts specialist specialized on heavy construction machinery. We provide customers not only engineering parts, but also project service . We have trading company in downtown area of Yantai city. 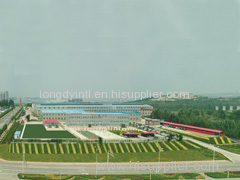 We have manufacturing factories in Muping district ,Yantai city. 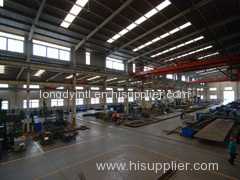 Also we have many outstanding sub-suppliers in China. Product Development &Engineering Department is responsible for products development, customer design optimization, technical proposal, products inquiry and quoting, engineering design, quality control. Orders& Logistics Department is responsible for order management, delivery schedule, production material dispensing, transportation scheme optimization, customs documents. Sales Department is responsible for the business development, exhibition and communication with customers. Management Department is responsible for accounting and payment. 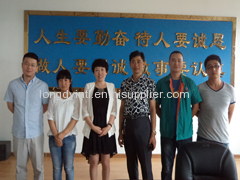 Our factory was established in 1978 and was restructured in 2007, specialized on construction equipment manufacturing, is the biggest weldment parts and attachments supplier of Doosan and Fonton Lovol in China. Our suppliers include: 1. Skid steering and attachements expert, which is the first manufacturers of skid steer loaders and attachments in mainland China. Their products exported to more than 40 countries and regions. 2. Heavy truck chassis components expert, which is one of the biggest supplier of FAW Group and Jinan Heavy Truck Corporation, specialized on cast iron and forging products. 3. 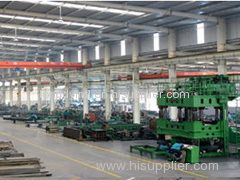 Hydraulics and precision parts expert, which is Eton, STAUFF qualified supplier. 4. Railway casting steel parts expert, which is CSR Corporation member, can provide AAR, NF railway standard casting steel products. Our aim: Being the best OEM supplier in China. 2.Our factory was established in 1978 and was restructured in 2007, Annual value of production reach 30million US dollar. Has financial advantage and large capacity. 3.We have most profesional manager who has more than 16 years' mechanical design experience and 7 years global trading experience. 4. Our sub-suppliers are all most profesional manufacturer in different areas.